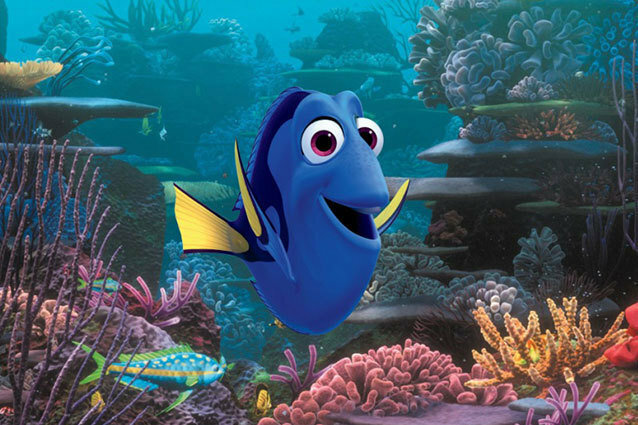 Pixar announced that they have pushed back the release dates of two upcoming films, The Good Dinosaur and Finding Dory. Instead of their original 2014 release dates, the movies will come out on November 25, 2015 and June 17, 2016, respectively. That’s right: for the first time since 2005 there will be a year without Pixar. Everybody, breathe. It’s going to be okay, promise. In fact, it’s actually a good thing that the studio is pushing the films back. Brave, Pixar’s most recent original film, went through a tumultuous production process, with director and co-writer Brenda Chapman being replaced mid-way through by Mark Andrews. Chapman has since been very vocal about the disappointment she felt upon removal from the project, and the whole ordeal gained Pixar an unfortunate amount of negative press… which was especially bad for the studio considering the tepid reviews the film recieved. The Good Dinosaur is currently going through its own directorial shuffle, after Bob Peterson stepped down at the end of August. Since then, the film has been without anyone at the helm, which likely explains the decision to postpone the release date. Brave‘s 2012 release was sandwiched between two sequels: Cars 2 and Monsters University. While Monsters U recieved mixed reviews, the Cars sequel was pretty much universally panned, and declared the studio’s first major misstep. This context makes the decision to move Finding Dory even smarter, as spending more time on the film might allow Pixar to break out of their recent sophmore slump. Because Pixar was so good for so long, expectations grow higher and higher each time a new picture is announced, which means a greater likelihood that audiences will be disappointed. After a mixed reception to all three of their latest films, the studio is wise to take their time with the next few releases. Yes, it means a longer wait for fans, but it also means that there’s more time to work out any kinks that the film may have, resulting in, hopefully, a better film. After all, those Best Animated Feature Oscars aren’t going to earn themselves. Is ‘Monsters University’ Just ‘Animal House’?